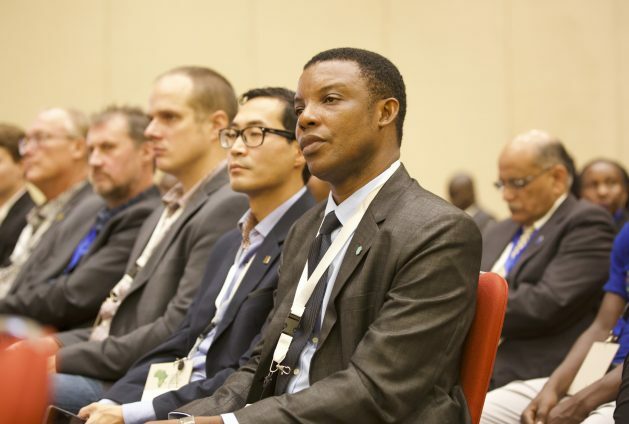 KIGALI, Dec 3 2018 (IPS) - While the African Green Growth Forum 2018 was taking place for the first time ever in Kigali, Rwanda last week, IPS sat down with Okechukwu Daniel Ogbonnaya, the Acting Country Representative and Lead Advisor for the Global Green Growth Institute (GGGI) to talk about the new forum, working with Rwanda and green growth integration in Africa. GGGI organised the forum with the Government of Rwanda. According to World Bank figures, Rwanda achieved impressive real GDP growth of about 9 percent per annum between 2000 and 2014. As a result, Rwanda is experiencing high urbanisation rates concentrated in its capital, Kigali. The GGGI has been supporting the Government of Rwanda’s work on the green development of six secondary cities and in operationalising the National Fund for Environment and Climate Change (FONERWA) to manage the country’s environmental projects. Excerpts of the interview follow. Inter Press Service (IPS): You have had your first successful continental forum. How did it come to be? Okechukwu Daniel Ogbonnaya (ODO): Usually the GGGI holds annual international conferences but in the last couple of the years we have seen that governments understand that they can use this platform to become leaders and champions of green growth. Now we no longer have a separate international conference each year, rather there are country, regional and continental level conferences. IPS: What was your goal in creating the African Green Growth forum? ODO: GGGI’s goal is to share knowledge, to create awareness of green growth. Green growth is a concept that is applicable to our lives today, in the way we live in our homes, in our workplaces and in our societies. It is all about livelihoods. Our aim is to share this knowledge related to the work we do as an organisation globally but also tailored to the needs of individual countries. The African Green Growth Forum brought together policy makers, private sector and the general public to learn about green growth. IPS: How was it to work with Rwanda, a country known to be serious about business? ODO: Rwanda is the African country when it comes to green growth. The government has put together a National and Green Growth Resilience Strategy and anyone who comes here can see that the infrastructure being developed takes into consideration green growth issues. The enabling environment is here because there is a high level of commitment by the government to develop and create a climate-resilient economy. Let’s take for example when you drive to the City of Kigali, you can see that the road infrastructures that pedestrian walkways and bicycle lanes are being integrated more and more. IPS: Is that why you have introduced eco-bikes public sharing project? ODO: The bike sharing project that also involved electric-bicycles, started earlier this year where we did studies in two secondary cities of Rubavu and Musanze. The idea is to understand an existing behaviour in terms of where people were using bicycles. But then we wanted to make it a business rather than just something that is seen as a way of life among the low-income community. We did that study and our aim is that private sector companies will pick up on the results of this study and invest in it as a business opportunity. IPS: But there is a perception that green products are expensive. What it is your take on that? ODO: I think it is just a mindset issue. We have seen in the last decade that in areas like renewable energy there has been drastic reduction in the costs of products like solar PV and solar home systems. So the mindset about the cost of green growth needs to change. There are upfront costs that might pull you up, but when you look up the life span of your project and the return on investment, it always shows that it is even more attractive to build green or to do sustainable development. You said there has been change in public opinion about green economy, what is the rate of that change? ODO: It is gradually changing when it comes to the public. When it comes to governments, we do note that countries we work with there is real change in the way policies are made, in the way things are done. Green growth policies are being mainstreamed into national plans. And when you go to the broader public, where you talk of the society, businesses, this is also gradually happening. We are now seeing green growth being talked about not only from the conference pulpits, but also in places like schools, in places like civil society organisations. IPS: Any insight into Rwanda’s “Africa’s greenest airport” project? ODO: In 2016, GGGI did discuss with the Ministry of Infrastructure about the possibility of greening the new Bugesera International Airport. The government was very positive about the need to ensure this big flagship infrastructure project was not only beautiful but beautiful in a sustainable way. We have worked closely with the Bugesera Airport Company where we looked closely into three areas: energy, water use efficiency and building materials resource use. These areas have been integrated into the design to ensure that when the airport is completed it will get green certified by Singapore’s Building and Construction Authority when the project is complete. IPS: Are you happy with how African countries are integrating the green growth revolution? ODO: Some countries in Africa are moving forward while others are lagging behind. There has been some recent development in regards to trade and transport in terms of collaboration. For example the African Free Continental Trade Area (AfCFTA) is a good sign that the continent wants to work together, to trade together and this is really important for the continent to grow. IPS: How about the youth? ODO: Youth are the future when you look at the demographics of the continent since most of the population are young people. They are the driver of change that the continent needs. To support youth we run a program called “Greepreneur” where we ask young people to submit their ideas and ten are selected to receive training and the finalists are awarded with seed capital. Coming back here to Rwanda, we also have worked closely with the Ministry of Environment and Rwanda Green Fund to institute a green growth award within the Youth Connekt Africa program. In the coming years we are looking at the opportunity of not just giving the award but making sure that the winners, and those who came up with good ideas, could be supported so their ideas turn into good opportunities for entrepreneurs. IPS: Where do you see the green growth revolution in five years? ODO: My expectation is that we will see very solid projects that demonstrate that green growth is here and it’s real. We are already seeing this but I expect there will be more and bigger infrastructure projects proving that green growth works but most importantly that people are at the center in terms of job creation. Whether the blue or green economy develops will depend in one thing: eradicating political corruption. As long as the few rob the people blind little progress can be made.